Welcome to our review of the best joint supplements for dogs, an especially important aid for owners of large dog breeds. Hip and joint pain are very common ailments that afflict a significant percentage of the dog population. Although these types of problems are rarely life-threatening, they usually reduce a dog’s quality of life and make even mundane tasks, such as walking and getting up from bed difficult. However, there are a number of commercially produced supplements for dog joints on the market. In addition to glucosamine, most contain various ingredients that provide relief to dogs suffering from joint stiffness, pain, and mobility. Why Are Supplements Important for Your Dog’s Joints? 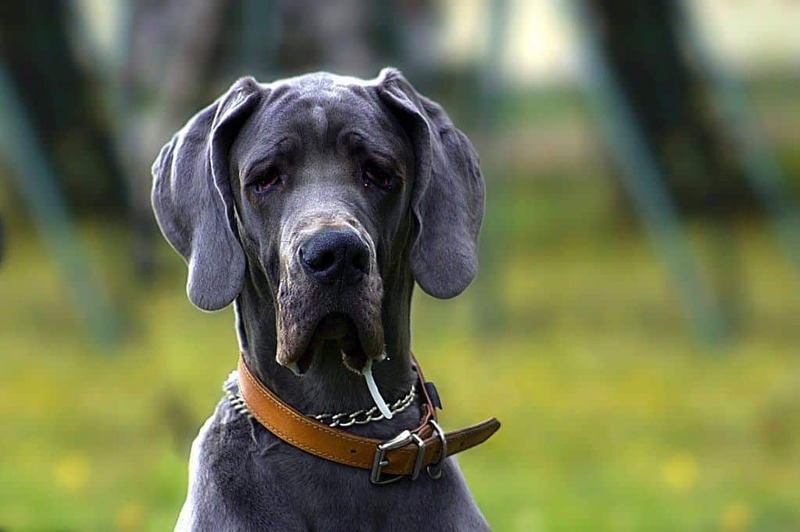 Joint problems are incredibly common in senior dogs, and large breeds are especially susceptible to hip dysplasia, elbow dysplasia, and osteoarthritis. These problems can cause your dog to suffer in a variety of ways, but fortunately, high-quality joint supplements can help in several different ways. Hip dysplasia, arthritis, and other joint problems are often quite painful, which loving dog owners should always try to eliminate. Joint care supplements often provide great value in this respect, and, unlike pain-relieving medications, dog hip and joint supplements rarely cause serious side effects. In addition to pain, most hip and joint problems also involve a considerable amount of inflammation. This not only exacerbates any pain your dog is suffering, it can lead to long-term damage. Fortunately, glucosamine and chondroitin often reduce inflammation significantly. In addition to reducing the pain and inflammation associated with joint problems, supplements containing chondroitin and glucosamine usually help to support the production of cartilage. This will help your dog’s joints work more effectively (and with less pain), thereby allowing your dog to get around better. Dogs who have hip and joint problems can rarely get enough exercise. This can lead to a number of problems, including most notably, weight gain. However, by reducing your dog’s pain and restoring the range of motion in his joints, he’ll be able to run, jump and play better than he previously could. 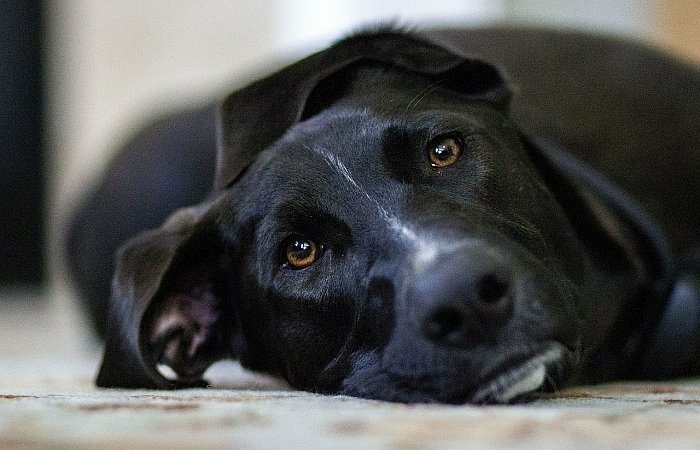 Pain, immobility and an inability to exercise can all lead to depression for some dogs. This will not only make your dog miserable, but it can contribute to behavioral problems and make recovery much more difficult. So, by supplementing your dog properly, you can help him enjoy life again. Dog joint supplements come in several different forms, including liquids, powders, tablets and soft chews. Each presents its own unique combination of benefits and drawbacks, and none are inherently better than the others. However, you should take a moment to review the pros and cons of each type, so you can pick the best type of joint supplement for your pet. Also, it is important to note that some dogs will accept some types of glucosamine supplements better than others. For example, your dog may not like liquid supplements poured over his food, but he may eagerly eat flavored soft chew supplements. Liquid glucosamine for dogs is usually designed to be poured over your canine’s food at mealtime. They usually have fewer added ingredients than chews or tablets, and they often feature natural flavors to ensure their palatability. You’ll usually need to use a provided measuring cup to administer the proper amount of supplement. Note that some liquid glucosamine supplements require refrigeration after opening. Powders are another form of joint supplement, and like liquids, they usually feature relatively few added ingredients. Also like liquids, powdered joint supplements are usually designed to be added to your dog’s food or water. Powders can be a bit hit-or-miss with dogs, as some don’t like the taste or texture, but others don’t seem to mind at all. Tablets are designed to be swallowed by your dog. This can be helpful for finicky pets, as they normally don’t have much of a taste – you can just put them in a pill pocket or a small piece of cheese and give them to your pet like a treat. If you don’t want to go to this trouble, you can just insert the tablets deep into your dog’s mouth and coax him into swallowing. Supplemental joint chews are essentially treats that contain chondroitin, glucosamine, MSM or other joint-supporting compounds. They usually feature a natural flavor (such as chicken or beef) and have a texture that appeals to dogs. However, chews often contain more ingredients than liquids or powders, which some owners find troubling. It is important to realize that not all dogs exhibit obvious symptoms that they are suffering from hip or joint pain, so owners will need to be as observant as possible. This way, you can begin treating your dog’s pain and inflammation quickly, which will not only provide him with relief, but also allow you to slow or halt the progression of some problems. You’ll also want to work closely with your vet, especially as your dog ages. Your vet’s trained eye may allow him or her to notice subtle signs that may indicate a problem. Over the last few decades, scientists have learned about a few ingredients that can help alleviate some of the pain caused by joint problems. While most of the ingredients contained in the best joint supplements for dogs have some empirical data confirming their efficacy, they are not helpful in all cases. Accordingly, you may need to experiment with different hip and joint supplements while working closely with your veterinarian. Glucosamine is a chemical compound that the body uses to produce some types of cartilage, ligaments and tendons. It is thought that by providing your dog with supplemental glucosamine, you can help support and encourage the production of new cartilage. The glucosamine used in most dog joint supplements is harvested from the exoskeletons of shrimp, crab and other crustaceans. Chondroitin sulfate is another building block of some types of cartilage, and by providing additional chondroitin to your dog, you may enable his body to rebuild his damaged cartilage more effectively. However, this is only half of the story – chondroitin sulfate also appears to serve a protective function, which can help reduce the amount of damage that occurs moving forward. Your dog’s body produces chondroitin naturally, but the amount produced decreases with age, thereby making this a particularly helpful supplement for older dogs. Much of the commercially harvested chondroitin used in hip and joint supplements for dogs originate from bovines or green-lipped mussels. Omega 3 Fatty Acids are important for a variety of biological processes, including proper eye development, supporting proper coat and skin health and supporting proper brain function. However, one of the most important things that some omega fatty acids do is reduce inflammation. This can help reduce the pain associated with osteoarthritis, hip dysplasia or injuries. Some of the best sources of omega fatty acids include flaxseed, salmon and other fish oils, soybean oil and extracts made from green-lipped mussels (Perna canaliculus). Dimethylglycine, or DMG, is a naturally occurring metabolite that veterinarians and trainers have been administering to dogs for the last two decades or so. Although it appears very safe and well-tolerated by most dogs, there is very little clinical evidence demonstrating its efficacy. There is likely little reason to pay more for a supplement that contains DMG, but there’s no reason to avoid those that do. Methylsulfonylmethane is a naturally occurring pain reliever and anti-inflammatory agent that is often used to treat arthritis and related conditions in both humans and dogs. MSM appears to be very safe, and there is some clinical data that supports its ability to help decrease joint pain. In addition to joint supplements for dogs, there are a number of medications that can help decrease inflammation and reduce joint pain, including steroids, NSAIDs, CBD oil, and stronger pain-relieving medications. However, you must always consult your veterinarian before administering any medication to your dog (and many, such as steroids, are only available by prescription). What is the Best Supplement for Dog Joints? Seven of the best joint supplements for large dogs are detailed below, and information about the causes of joint pain, breeds susceptible to joint problems, and strategies for protecting your dog’s joints is included farther down the page. Nutramax Dasuquin Chewable Tablets are great joint supplements for large dog breeds, as they are specifically formulated for dogs weighing more than 60 pounds. These naturally flavored chews are not only easy to administer to your dog, but they contain four different nutritional supplements to help strengthen and protect your dog’s joints. User Reviews: Most owners report that giving Dasuquin reduced their dog’s pain and stiffness and improved joint mobility. Many even reported that their dog became happier and more energetic. A few customers complained about the cost of the supplement, but most found it to be well worth the additional expense. Bottom Line: Given the combination of great reviews, the assorted mix of joint-supplementing compounds contained in the recipe and the fact that they are made specifically for large breeds, Nutramax Dasuquin Chewable Tablets are one of the best joint supplements for dogs on the market. They deserve serious consideration from any owner who is not put off by the relatively high price point. Glyco-Flex III Dog Chews are specifically designed to supply the proper supplementation levels for active or working dogs and senior dogs. Glyco-Flex III is made with 10 different compounds thought to support joint health, including glucosamine, MSM, green-lipped mussel, DMG, Vitamin E, Vitamin C, manganese, grape seed extract, L-glutathione, and selenium. User Reviews: Most owners who provided Glyco-Flexx III to their dog for several weeks reported improvements in both flexibility, mobility and activity level. It also appears to help reduce the pain many dogs with arthritis or hip dysplasia experience. Unfortunately, a few owners reported quality-control problems with Glyco-Flex III; however, such reports were very rare in relation to the number of owners who were very pleased. Bottom Line: Glyco-Flexx III contains more joint-supporting compounds than any of the other advanced joint supplements for dogs that we reviewed. Accordingly, it may be a good option to choose for dogs who have not responded to other supplements. Most dogs seem to find the taste acceptable and the price is very reasonable, so it represents a low-risk option that deserves consideration. Doggie Dailies are great-tasting, chicken-flavored soft chews, designed to help support joint health in dogs of all sizes. Each Doggie Daily contains six different active ingredients in each chew, including glucosamine, MSM, chondroitin, Yucca shidigera, co-enzyme Q10, and hyaluronic acid. User Reviews: The majority of owners who tried Doggie Dailies for several weeks reported good results. Many dogs began exhibiting better mobility and suffering from less pain after taking these chews, and several owners mentioned that their dog loved the taste. Bottom Line: Doggie Dailies soft chews are very affordable joint care supplements for dogs, but they contain several of the same compounds that more expensive supplements do, as well as a few high-priced products, don’t typically include. Additionally, because Doggie Dailies are backed by a manufacturer’s guarantee, you don’t have much to lose by trying them. Infinite Pet Supplements are safe and simple chewable tablets, made with four simple active ingredients: glucosamine, organic turmeric, chondroitin, and MSM. Designed to provide your pet with everything his joints need and nothing they don’t, Infinite Pet Supplements are made without any harmful additives or ingredients. User Reviews: The majority of owners reported great results from Infinite Pet Supplements, citing their dogs’ improved mobility and reduced pain. Many owners even reported that their dog’s mood improved after using these joint care supplements. A few owners failed to see any positive benefits, but this is a possibility with any supplement. Bottom Line: Infinite Pet Supplements are high-quality, yet affordable hip and joint supplements for dogs. Because they are made with very few ingredients, they are a wise choice for dogs that have delicate digestive systems or suffer from food allergies. The Missing Link Ultimate Hip, Joint & Coat Powder Supplement is different from many other supplements on the market, as it is designed not only to address your dog’s joint problems but any coat problems he may be experiencing as well. This powdered formulation contains a number of different active ingredients, but it primarily relies on glucosamine to improve joint health. User Reviews: The Missing Link Ultimate Hip, Joint & Coat Supplement is one of the best-reviewed powder dog joint supplements on the market, and the vast majority of owners who shared their experiences have been very pleased. Most owners report that their dog’s joint problems became much less severe and that their dog was enjoying a much higher quality of life after starting the treatment. Bottom Line: Given its low price and great reviews, most owners should give The Missing Link Ultimate Hip, Joint & Coat Supplement serious consideration. Not only does it appear to be very effective for treating joint problems, but it also contains ingredients that may provide your dog with a number of ancillary benefits, including improved coat and intestinal health. Cosequin DS Plus with MSM Chewable Tablets is another very high-quality supplement manufactured by Nutramax. Made with four different joint-supporting compounds (including chondroitin, glucosamine, MSM, and manganese), these tasty tablets allow you to use a multi-faceted approach to address your dog’s joint problems in several different ways. User Reviews: Most Nutramax joint care supplements are pretty highly rated products, but Cosequin DS Plus with MSM Chewable Tablets have earned incredible ratings from owners – 91% of those who tried these tablets gave them a 4- or 5-star rating. Many noted improvements in overall health, mobility and coat condition, and most dogs seem to love the taste. Bottom Line: Cosequin DS Plus Chewable Tablets are some of the best hip and joint supplements for dogs available, especially for those who have mild to moderate hip or elbow issues. They don’t have quite as much chondroitin and glucosamine per tablet as some other supplements do, but you still get great value for your dollar, as these tablets contain four different joint-supporting compounds. TerraMax Pro Hip & Joint Supplement is a premium liquid dog joint supplement that is not only packed with glucosamine and chondroitin with added MSM and hyaluronic acid, but it is also easy to administer. Made without any artificial additives, colors or preservatives, this supplement is 100% pure and completely safe for dogs to use, as it’s made with only human-grade ingredients. User Reviews: The vast majority of owners who tried TerraMax Pro Hip & Joint Supplement for Dogs liked it. Most reported that it helped improve their dog’s mobility and ease their pain, and a few even reported that surgery was no longer necessary after using the supplement. A few dogs experienced mild digestive issues after using the product, but each dog is an individual, so this can happen with any food or supplement. Bottom Line: TerraMax Pro Hip & Joint Supplement for Dogs is a great liquid joint supplement for any dog, but given that it contains 1600 mg of glucosamine and 1200 mg of chondroitin per ounce, it is one of the best options for large dogs. Also, some owners will find that the liquid form is easier to administer to their dog. Why Do Some Dogs Develop Hip and Joint Pain? Dogs can suffer from hip and joint problems for a number of reasons, and some poor dogs suffer from more than one problem simultaneously. The cartilage in your dog’s body cushions the bones that comprise his joints. This allows them to bend against or slide past one another easily. However, cartilage can break down over time, which can cause the joints to become quite painful. This condition can commonly be seen in senior dogs. Some supplements may help to prevent further cartilage loss and veterinarians are sometimes able to transplant healthy cartilage to damaged joints to alleviate pain too. Large, overweight and highly active dogs are at the greatest risk of developing osteoarthritis, and most dogs that develop the condition are of advanced age. Although they both cause pain and stiffness in the joints, osteoarthritis and rheumatoid arthritis are two very different conditions. Rheumatoid arthritis is a relatively poorly understood autoimmune disease, in which your dog’s immune system begins attacking the tissues in his joints. Unlike osteoarthritis, rheumatoid arthritis often causes additional symptoms, such as elevated temperature, lethargy and general feelings of being unwell. One of the classic signs that indicate that a dog’s joint pain may be caused by this autoimmune disease is the presence of equal pain and stiffness on both sides of the body. Rheumatoid arthritis is commonly diagnosed in young or middle-aged dogs. Dogs with hip dysplasia have improperly formed hip joints. This causes the joint to be unstable, which often leads to pain and osteoarthritis. Hip dysplasia is a congenital disease, which usually occurs along familial lines. 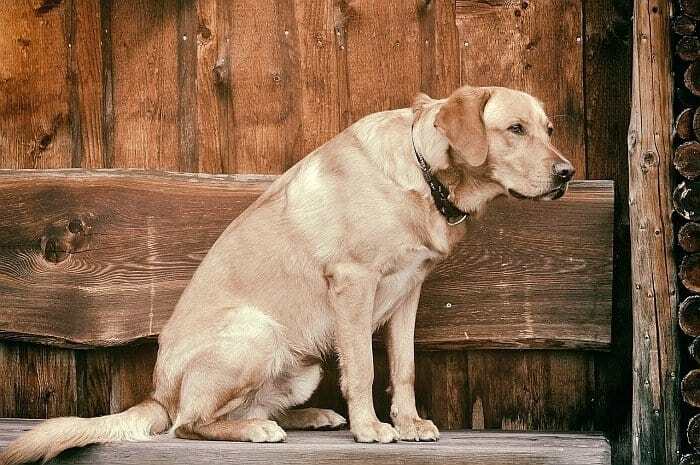 Not all dogs born to parents with hip dysplasia will develop the condition, and apparently healthy dogs can produce puppies who will go on to develop the condition. Accordingly, many veterinarians believe that the genetic component of the condition predisposes some dogs to develop the condition, but it is not clear which factors cause it to manifest. Dogs can suffer injuries to their tendons (fibrous tissues that connect muscle to bone) or ligaments (fibrous tissues that connect bones to other bones). Injuries can vary from mild to severe, so the symptoms of these injuries may range from very subtle pain to lameness or immobility (be sure to check out our guide to dog mobility aids if your pet has trouble getting around). Mild injuries will often heal over time with rest, but more serious damage may require surgical solutions. Some breeds are predisposed to tendon or ligament issues, but most can be avoided by exercising care during play time. Although mixed breed dogs (mutts) can develop hip and joint problems, they are typically less common than in purebred dogs. This is especially true of inherited joint diseases. What Else Can You Do to Help Your Pet? It is impossible to prevent some diseases that cause joint pain, such as rheumatoid arthritis. However, you may be able to help reduce your dog’s chance of developing osteoarthritis or some of the other conditions that can limit a dog’s mobility by following a few guidelines. 1. Ensure that your dog gets sufficient exercise. Exercise helps promote total body health in dogs, so it is always important to make sure your dog gets an appropriate amount of exercise (although you should always follow your vet’s advice regarding dogs who are predisposed to joint problems or already suffering from them). However, exercise also helps strengthen your dog’s muscles, which can keep joints more stable, which can help reduce damage and the associated pain. 2. Avoid activities that are likely to lead to joint injuries. Running through unfamiliar terrain often causes injuries, as does playing in unsafe areas. While most minor injuries heal without causing lasting effects, serious injuries can have life-changing ramifications, so you should always strive to avoid injuries. Make sure that your dog plays on flat, relatively soft surfaces, and that you always inspect the area for potential hazards before your dog starts running and jumping. 3. Keep your dog at a healthy body weight. Dogs with healthy body weight can suffer from joint problems, but they are much more common among overweight and obese dogs. Carrying around extra weight places additional strain on the bones and joints, which can lead to increased damage to the cartilage and pain. Because large breeds are already pushing the limits of their joints, and even trim individuals carry around quite a bit of bulk, it is especially important to keep big breed dogs at a proper weight. 4. Visit your veterinarian and have your dog’s joints examined regularly. As with most other health problems, joint issues are easiest to treat when diagnosed early. Not only can you begin providing some pain relief for your dog sooner, but you can also potentially avoid causing further damage. Accordingly, you’ll want to visit your vet at least once per year and have him or her examine your dog’s joints carefully. The vet will not only check for pain in the joint but also range-of-motion. 5. Feed young puppies the correct amount of nutritionally appropriate food. Puppies grow very quickly, which means that their bodies must build new tissue – including bones, ligaments, tendons, and cartilage – at a rapid rate. And because the improper amounts of calories or nutrients can lead to developmental problems, you need to be very careful to select a food formulated for puppies and to provide the proper amount of it. Large breeds grow even faster than small- and medium-sized dogs do, and they often continue to grow for a longer period of time, which means they have slightly different nutritional needs than their smaller counterparts do. Accordingly, it is often wise to purchase puppy food specifically formulated for large breeds. Have you ever cared for a dog with hip or joint issues? What types of things did you do to help provide your dog with relief? Do you give him one of the best joint supplements for dogs listed above? Share your experiences in the comments below – you never know when your story will be able to help someone else provide their dog with some relief. Dasuquin vs Cosequin: Which Supplement is Better for Your Dog?